Since childhood days, arts and crafts as well as animals were of great interest for me. Now being able to work as a blacksmith and farrier gives me great thankfulness and happiness each day. 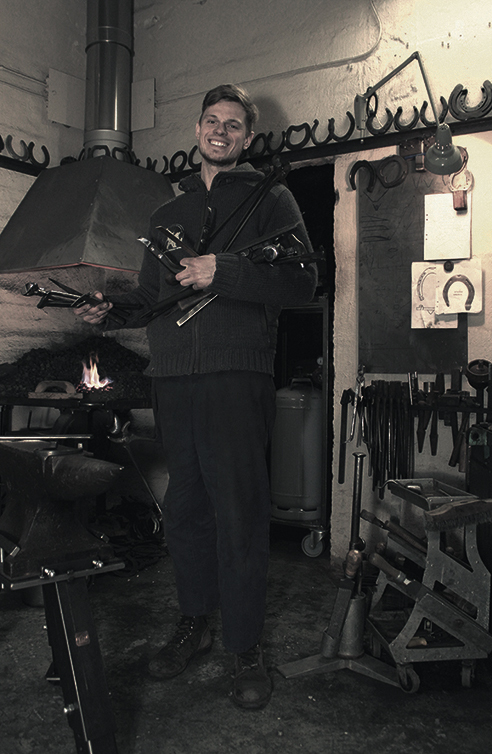 Tips and tricks of many skilled craftsmen, my experiences in stable and forge, as well as literature in Swedish, German and English, advanced my understanding of our profession. This gave me the insight that skills and very good tools are the basis of a decent job. Because of that, I started the company Bodner Tools Manufacturing with the goal of producing tools and equipment for farriers of the highest possible quality. All tools are hand made by using only the best materials. We strongly believe in an ethical way of production and local connections.